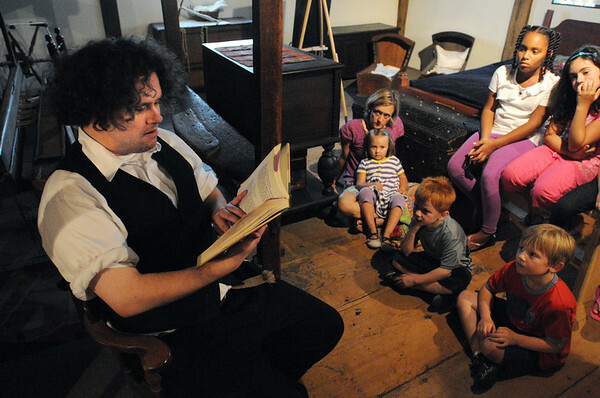 Matt Taylor reads some curious tales aloud for the young inside the Witch House. The event was part of Heritage Days. Photo by Ken Yuszkus/Salem News, Monday, August 8, 2011.